The medium haircut is usually considered to be that one that sits on or just above the shoulder. 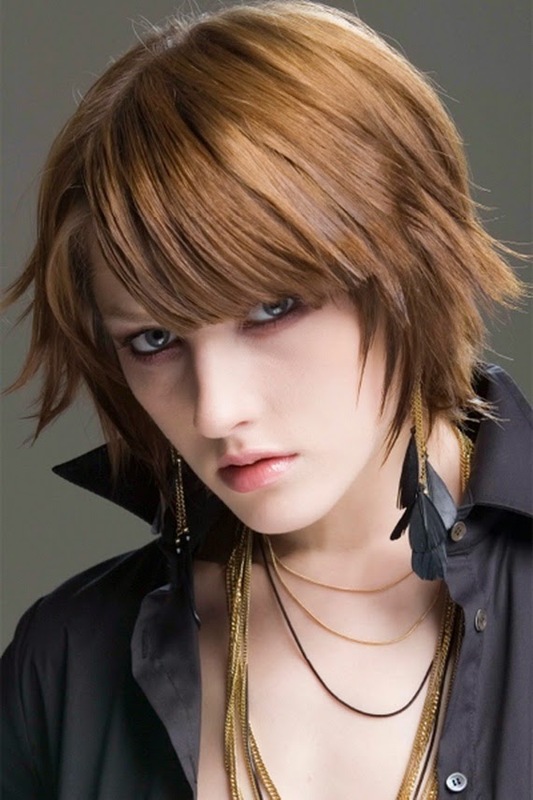 This haircut is one of the most common today, popular among teens, young women and even middle aged women. The medium length hair is one that has the widest range of hairstyles to choose from to compliment any face, any age and any occasion. The medium hairstyle has in fact been touted as the only hairstyle that is both professional and chic. The layered hairstyle is a favorite among women with medium haircuts, and is in fact one of the most popular hairstyles of both the professional woman and the housewife. The layered look is easy to style and easy to maintain. For the office, the medium layered hair can be combed down or flipped in to create a look that is professional but soft. The medium layered hair can also be easily clipped up or held back in a clean ponytail while in the office and simply shaken loose on the way to a lunch date. It can be flipped out to go to a party or pinned up to go to a wedding. The layered look is indeed one of the most versatile medium hairstyles available to a woman. Another trendy medium hairstyle is the razor edged cut hairstyle. This medium hairstyle is similar to that of the layered hairstyle, particularly the flipped out look of the medium layered hairstyle, but has the advantage of being versatile enough that the entire length of the hair remains one length. The razor edged cut is also a funkier look than the straightforward layered haircut, and it does allow a bit more variation in its styling because it maintains the length of the hair throughout the body (no layers). The razor edged hair can be styled in a side path or a center path, but regardless of how you choose to wear this haircut, you need to carefully comb your hair outwards to maintain that razor edged look. The medium length hair can also be creatively bob-styled while still maintaining the length of the hair. It incorporates both the layered and razor edged styles to create a uniquely different look that is also convenient to maintain and flattering enough for any occasion. This is a look that is favored by the less conventional younger woman. It is however not ideal for the professional look since it cannot all be swept up in a clean ponytail or bun (the acceptable hairstyle for the professional look).